Announced in November 2002, The aptly-named PowerBook G4 (1 GHz/867 MHz) was essentially a speedbump of the PowerBook G4 (DVI). 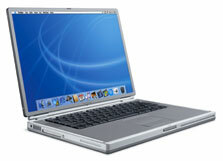 In addition to faster processors, the PowerBook G4 (1/867) gained a faster graphics system, and a CD-RW/DVD-RW "SuperDrive" on the highend model (The first such drive ever available in a slot-load configuration). There were two configurations: the 867 MHz model, with 256 MB of RAM, a 40 GB hard drive, a CD-RW/DVD-ROM drive, and 32 MB of VRAM, was $2299. 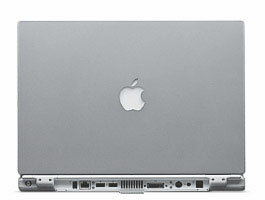 The 1.0 GHz model, with 512 MB of RAM, a 60 GB hard drive, a SuperDrive, 64 MB of VRAM and a built-in AirPort card, was $2999, making it one of the lowest priced highend PowerBooks ever.